Writing a blog can sometimes be a challenge, and sometimes a joy. Yet I have to admit I am not always sure as to my motives for writing one. Why would you want to share your thoughts on a particular subject with the world? In years gone by it seemed everyone wrote letters or kept diaries. Now people keep in touch using social networks and only politicians keep diaries, needing them for the inevitable autobiography. Maybe blogging fills a void left by the letter writers and diarists of the past, being both a record of your thoughts and a means of communicating with others, even if you don’t know them. There are said to be more than 180 million blog pages in existence, that sure is a lot of motivated people, but why do they bother? Here are a few reasons and many of them are related to learning. • Firstly It’s a great way to learn – one reason that making notes is so helpful when trying to learn is that you have to externalise your thoughts and physically write something down, blogging is no different. • It helps clarify your thoughts – the process of writing also helps clarify exactly what you think, it gets you to question what you know, and as a result you begin to develop a deeper understanding of the subject or topic. Micro blogging (Twitter) is especially effective, not only do you need to be clear in what you want to say, you have to be incredibly concise, less than 200 characters in fact. And yes that includes spaces, full stops etc. • You become an expert – the more you think and write, the more you engage in something, the better you get. In order to support your views you will probably need to undertake a certain amount of research to check your facts. This again is something that will expand and deepen your knowledge. Remember you can add videos and pictures to the blog; it makes it far more interesting when you do. • Do you have something to say – ever had a thought in your head and just needed to write it down? Ever had an opinion or a view and wanted to share it with others to get their reaction? 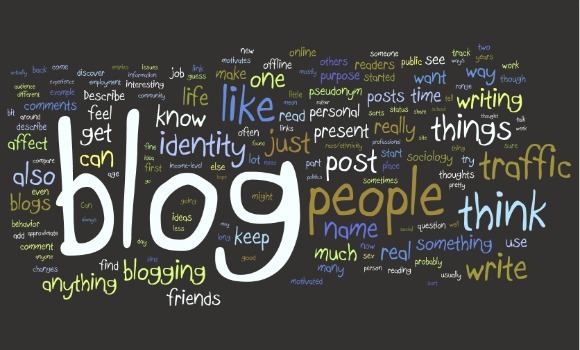 A blog is a great medium to express your views and provides you with a much wider audience. • You get feedback from others and intern learn from them – so having shared your view, the blog becomes a focal point for debate, allowing others to comment on what you have said. Perhaps challenging your views, teaching you new things and forcing you once more to think more deeply. You can blog about pretty much anything, but if your studying why not blog about the subjects or even the techniques you find work best when it comes to learning. Every day you go to University, college or school you come across something new, let the events of your day inspire you. Happy Blogging!